I did a search but couldn't find an answer. I remember some mention of the Unreal engine but no confirmation. One would think the new Reiza 20XX must be fairly decently into development so I would assume this has been decided. This has likely been asked a million times but I am REALLY looking forward to this title. AMS is the best overall sim I have tried and I am anxious to hand my money to Reiza for this next sim. Is there even a plan as to when any visuals or specifics will be released? Appreciate any info. IMO the main reason people avoid AMS is due to it being seen as a "bridge" game and not a game that will have years of life. It is a crime becasue this game is excellent and I think sales may increase if details about the future were released. Project Cars 2 have been advertising forever and it looks as thought it will sell well again. Regardless of whether you love or hate the game, the way they have marketed it has been pretty successful. I too am unbelievably excited about the new title. I'd also love to pre-purchase my copy of the new title even though I'm normally against this practice. I have that much faith in Reiza that they will deliver and I'm just waiting to hear what they announce so I can purchase some new hardware for it. In particular I'm looking at buying a VR headset but I'll only buy what Reiza support. There's not been any official confirmation of the next game's graphics engine. Unreal, Unity and a custom graphics engine are the 3 that have been mentioned whenever this comes up though. 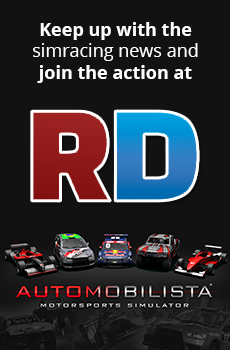 Automobilista turned out be a tool for leagues and modders, there isn't enough "game" in it. Looks like another simcade to me? I'm sure it has a market that it will appeal to, and please don't take this the wrong way, but my 10 year old nephew would love it. I personally will happily sacrifice graphics for realism any day, and AMS is the most realistic sim out there. Also, you're not seeing the bigger picture - The sequel to AMS will have all the realism ported across with a nicer graphics engine, if that's what you desire? Give Reiza a couple of years and if they work as hard as they have been on AMS 2 as they did on AMS 1, then they will become a highly desired simulator used by rookie and professional drivers word wide. Looks like another simcade to me? Most reviewers wouldn't agree with you and we are talking about AMS fans like GamerMuscle and Empty Box. Like all sims pCARs2 isn't perfect but it has plenty of realism including features not currently in AMS. PC2 is graphically phenomenal, has a really solid driving experience, and an amazing time/weather/track progression implementation. Unfortunately it was released with its AI unable to play nicely or with any degree of consistency with these new systems and its not a particularly enjoyable game as a result. Unless they pull out some miraculous AI patches over the next few months, the game may well fall off the radar as a destination for those of us who love offline SP racing. I hope whatever engine Reiza go with and whatever fancy features they introduce, they at least get their AI to cooperate. I have every faith in them! I think PC2 will influence other titles in time by having it's weather & live-track system demonstrating what can be done. While I do enjoy the RallyX events, most of the other cars in PC2 are very glued to the road and very stable so I miss the feeling of balancing the car on edge and using throttle to make the right corner exit; it just isn't there in PC2. The FFB in PC2 is better than PC1, the graphics and some of the sounds are better but, the handling is not very convincing for me compared to AMS / rF2 or AC. I do like the UI and the Race Engineer features though - oh, and VR too. Looking to the future on these matters I think by the time we get a new version of AMS that supports VR there will be new generations of VR kit more suitable to run it in. While the immersion is great in VR the fidelity is not and is much more taxing on my tired old eyes. And AMS is still clearly the best FFB of them all so I race with greatest confidence and have the most fun still using AMS with my friends. I personally will happily sacrifice graphics for realism any day, and AMS is the most realistic sim out there. Graphics play a massive role in realism! Thats why a new graphics engine for AMS will hopefully make it the most realistic sim out there, until then it may well be the most realistic "feeling" sim out but to say it is now the most realistic sim, lol. It takes a entire package which no sim has yet to master. AMS feel/FFB/physics with pC2 visual and features will get close to that first statement of yours. I have one (a great one), but being one? I honestly think AMS looks better than PC2. The graphics Reiza has been able to squeeze out of this engine is remarkable. PC2 definitely delivers on weather effects tho, and I generally enjoy the handling as well. Overall a solid game/simulator in my book. But I enjoy all of the "big name" simulators out there. The state of which the simulator are at in this point in time is just remarkable imo. You can't really go wrong with any of them. I am also so excited by the next game(ams2?) and by the last updates of amazing ams. I fully support the Sando75 idea, of making a sim and continuing the development for years or decades, may be next one should be the one that goes in this direction? I also have a thread about next sim, may be u could participate and vote in the poll about what we prefer in the next reiza simulator (ams2?)? I hope that devs have the time to play what the competition offers once in a while so they can get some quick inspiration from it. Of each game you can take aspects that would improve another. Easier than having to come up with it all by yourself. AMS is so good i wonder what next title would have to make it better or differ from previous one. I can only think of graphics. I also think they should find a top-notch art director aware of new trending to concept modern UI, color palette, logotype, skins, crowds and overall art balance along with marketing skills. I think this would bring new users to fill the multiplayer grid.